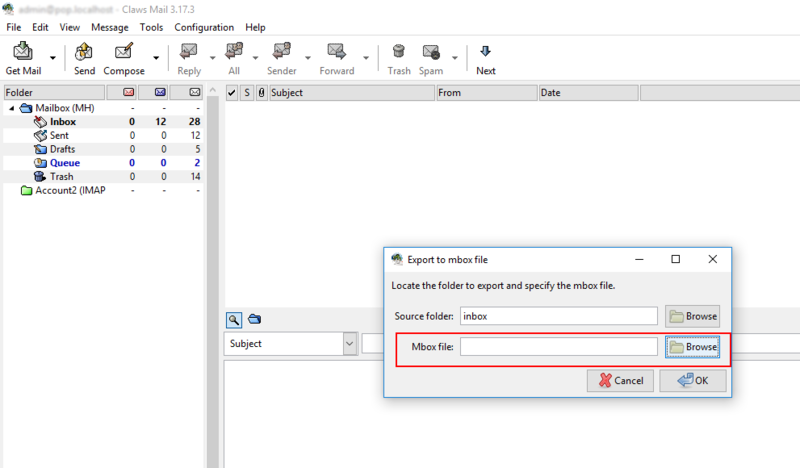 Home » Blog » File Conversion » How to Export Mailboxes from Claws Mail to Outlook PST? How to Export Mailboxes from Claws Mail to Outlook PST? Claws mail is an open source email and news email client for both Windows & UNIX-like system. It stored emails in the MH mailbox. It also provides Import and Export mail facility for users. Basically, Claws mail is an email client, people used this application for email communication. If we talk about how to convert Claws mailbox to PST, then we will need a reliable & effective solution. 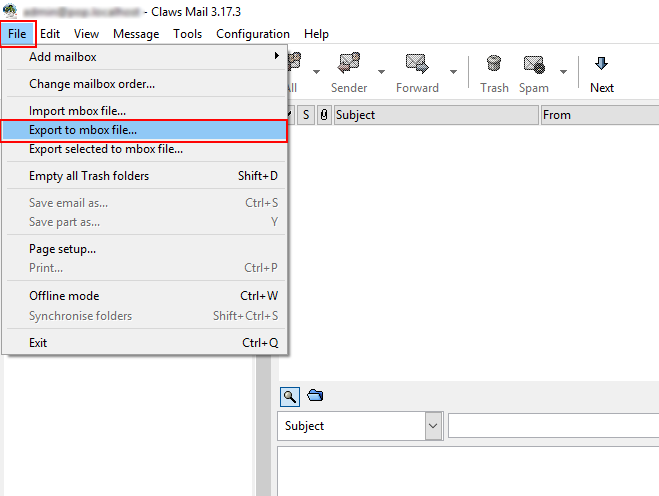 So, in this article, we will provide a solution to export mailbox from Claws mail to Outlook. Through this article you will get a solution for this, so let’s start the conversion process without wasting time. What We Have to do to Perform Claws Mail to Outlook Conversion? We have to Extract Mailboxes from the Claws email application. Then, we have to Convert extracted Claws mailboxes to PST format. After getting PST file we will import this PST file into Outlook email application. 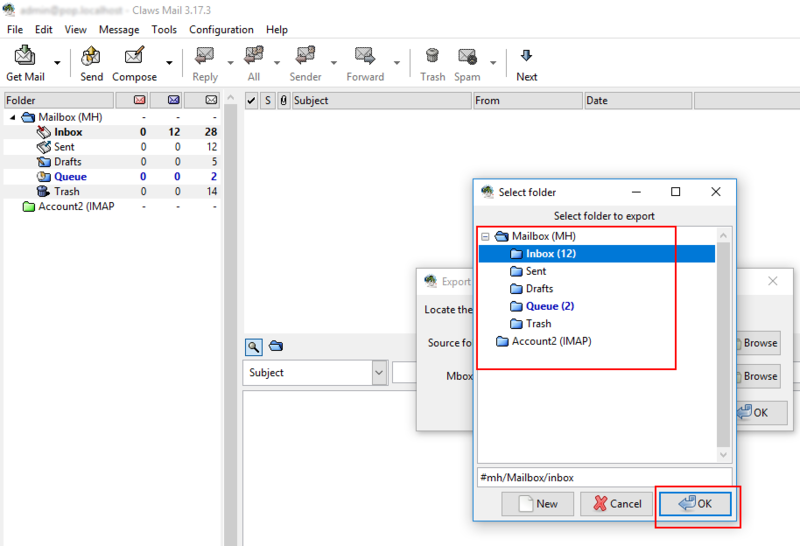 Now, follow all steps to import Claws mailbox to the Outlook email client. How to Extract Mailboxes from Claws Mail? To extract Claws mailbox data we will use Claws email application. Claws email client provides import and export option for the user in which the user can easily import MBOX file into Claws as we as the user can export Claws mailbox as MBOX format with the help Export option. So, we use this Export option to extract mailboxes. Follow the given steps to perform this task. Open Claws mail on your machine. Then, click on File from the menu bar, then click on Export to Mbox file. Now, you have to select the source folder. By clicking on the Browse button. Now, Select the folder which you want to export. Then click on the OK button. Now, you need to browse the destination location. Click on the second Browse button. Now select the destination location, and click on the Save button. 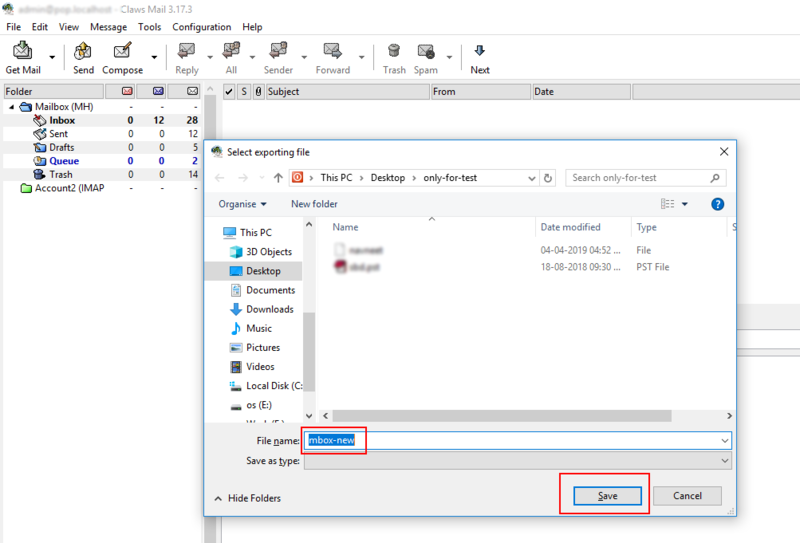 Click on Ok button to extract the file. Go to the destination, where the file is saved. After getting mbox file from Claws email client, we have to proceed to the next step. In this steps, we will convert Claws mailbox to PST file. How to Convert Claws Mail to PST Outlook Importable Format? 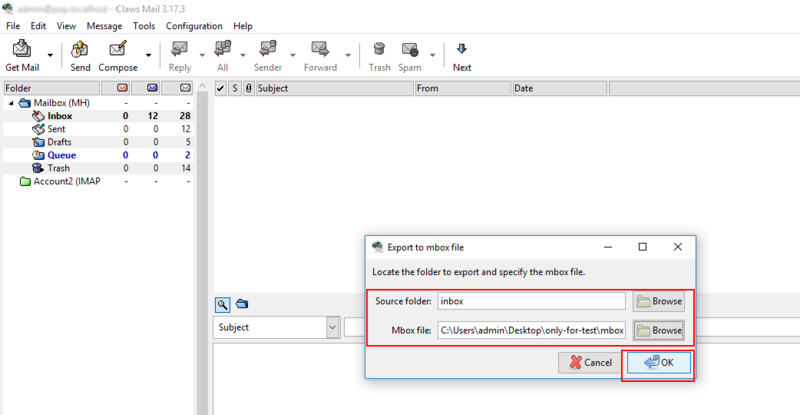 Now, we have MBOX file (which extracted from Claws email application in the previous step) and we need to convert into PST file. 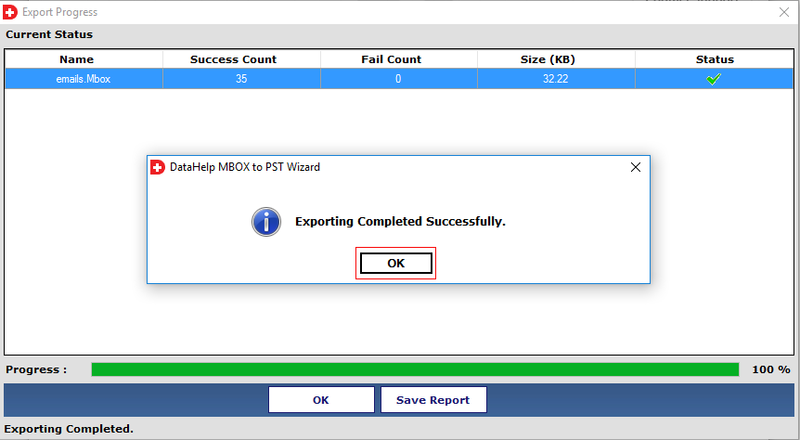 To simplify and easily perform this task we suggest you use MBOX to PST converter. 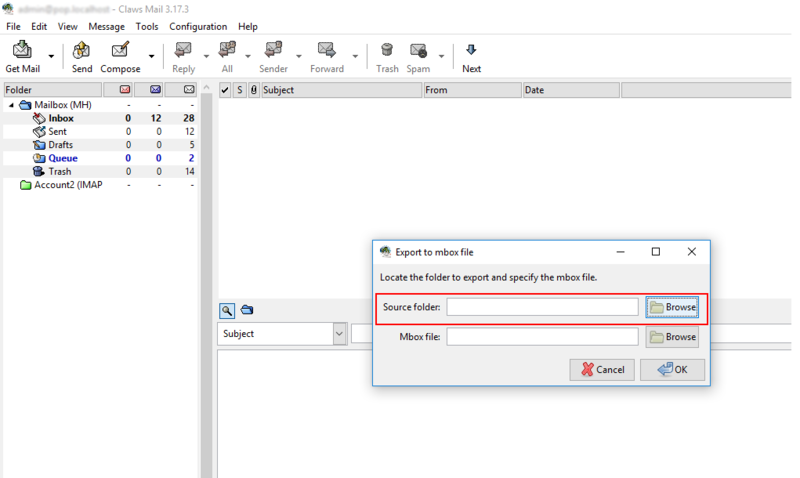 By using the tool you can easily export Claws mailboxes to PST format. 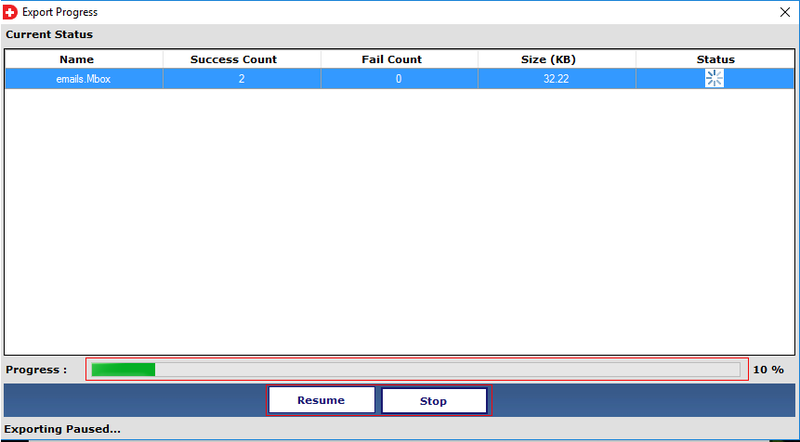 It allows you to convert multiple Claws files to a single PST file. This software will simplify Claws Mail to Outlook conversion process. 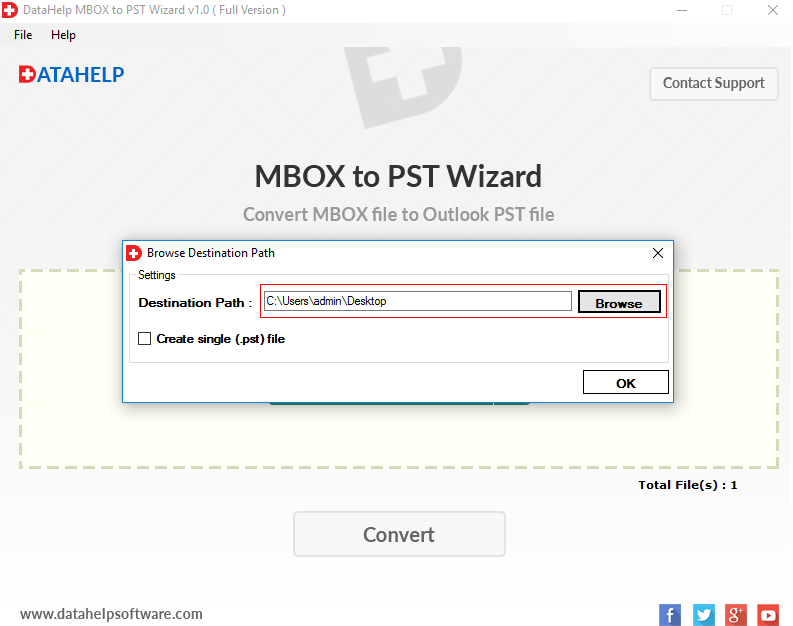 So, download the software to convert Claws Mail to PST & follow the given steps to perform Claws mail to Outlook conversion. Start the software on your machine & select files which you extracted from Claws email client. Then click on Convert button, & browse destination location, if you want to convert all Claws mailboxes into a single PST then check to Create single (.pst) file option. Click on OK.
Now, Clows to Outlook PST conversion process started. Software successfully converted the file to PST format. Now, we have to import this PST file into Outlook email application to access Claws mail data into Outlook. We have to use the Import/ Export option to Outlook email client to import PST file. 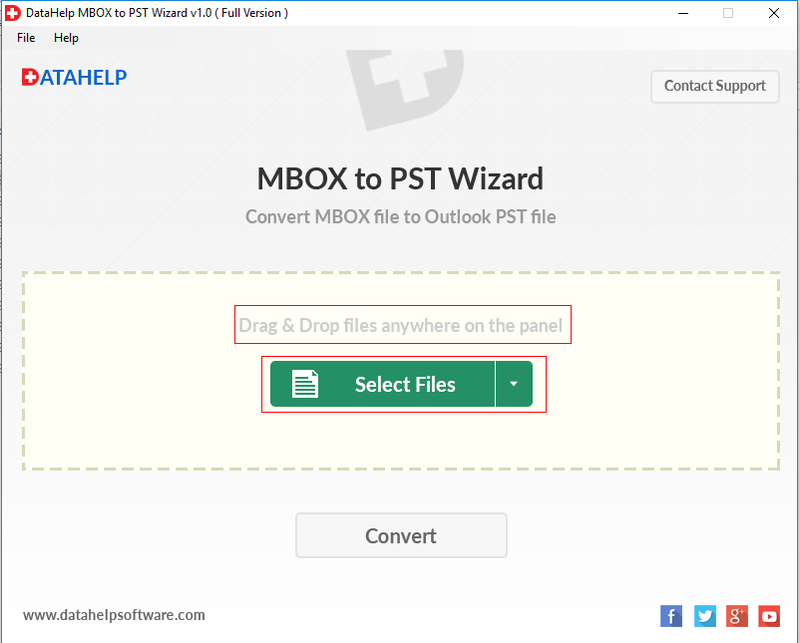 Now, conversion of Claws mailboxes to Outlook PST file is quite easy for you, with the help of this blog you can easily convert Claws mail to PST file. This write-up is proposed to the users who search a solution on How can I export mailbox from Claws mail to Outlook email client. © Copyright 2016-2019 DataHelp. All Rights are Reserved.